Property Details: 4 Bedroom, 4.5 Bath beach-front unit, sleeps up to 10. 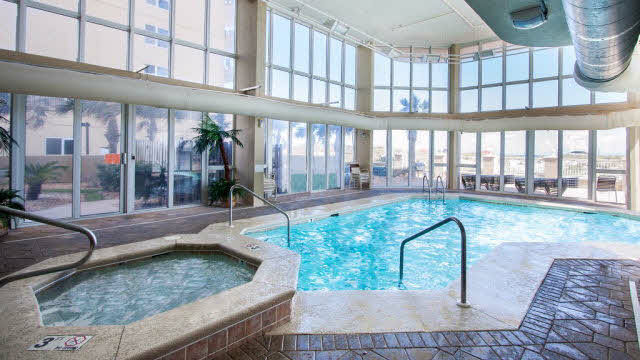 Oceania gulf-front vacation rental in Gulf Shores AL offers luxurious 4,000 sq. ft. gulf-front condos with 4 large bedrooms, each with their own bath and balcony – these exceptional resort homes encompass an entire floor, providing spectacular water-views of the Gulf of Mexico, and the Little Lagoon. Oceania condominiums are located less than mile from the heart of Gulf Shores, an easy walk to shopping, entertainment and restaurants. This vacation rental home, with amble space and privacy, is ideal for families and friends to vacation together. Enjoy a amazing views of the beautiful Gulf of Mexico from the living area with floor-to-ceiling windows; the fully equipped kitchen includes a wet bar & ice machine. The community amenities at Oceania feature an exercise facility, a hot tub, indoor & outdoor pools, outdoor grill, secured entry/access. Gulf Shores Alabama is known as a family beach vacation destination; the warm climate allows for an abundance of outdoor activities, dolphin cruises, championship golf courses, bird-watching, deep-sea fishing charters and nature hikes. for accommodations, choose from national hotel and motel chains, camping or a variety of beach homes for rent by owner and/or management companies. There are numerous Gulf Shores activities, from family entertainment to a legendary roadhouse, enjoy from a selection of plays, concerts, dancing or just relaxing while listening to local musicians.When hunger strikes, enjoy one of many Gulf Shores eateries offering some of the best seafood anywhere…fried, grilled, steamed, blackened, etc. Whether you’re ready for fun and adventure, a carefree day on the beach, a succulent meal or your own Gulf Shores beachfront condo – you can find it all on Alabama’s Gulf Coast.